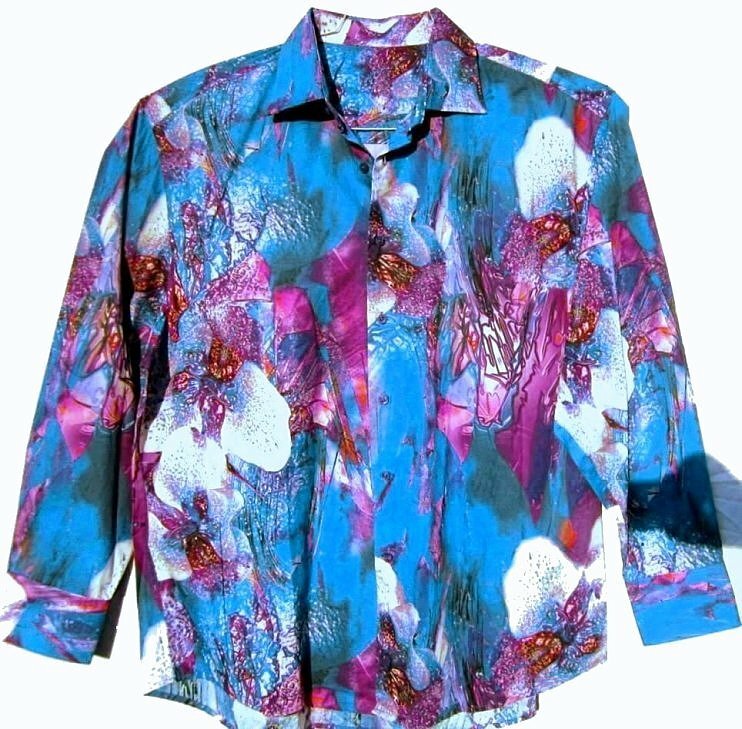 The above shirt possesses a wonderful combination of colors. The background color is a turquoise blue. Splattered onto it are a bright purple, dark hot pink, pink, violet purple, white and a hint of green. The pattern varies shirt to shirt. The 100% cotton shirts are extremely sturdy. One can wear over and over. Machine wash inside out and hang dry. The cotton is medium weight, not thin at all, but not too heavy. A sturdy tight weave though. Shirt measures larger than the "chest fit" number. Men's reproduction tinted 70s style aviator sunglasses available for $7.00 below.